Review- Kautilya also known as Chanakya, is one of the best and first Indian thinker and strategist and is still regarded as world class teacher of life and economics and strategy. His "Chanakya Neeti" is ever famous book which has inspired, taught and motivated a lot of people. 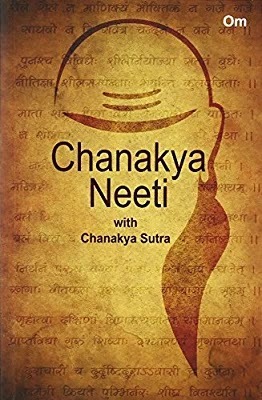 With this book, Grapevine Publishers present the ever famous Chanakya Neeti in English. The sutras are given in Sanskrit, the Sanskrit wordings are written in Roman and later translated to English. This book has a lot to offer from philosophy, life, economy, laws to strategy and hos to lead a country/life. Language used in the book is simple and thus helps to understand the Chanakya Neeti better. Book Cover shows famous Chanakya hairdo and tilak drawn in aesthetic way. I'd rate this book 4/5 stars.